7 Powerful Mindsets to Kickstart Your Alcohol-Free Journey! Alcohol is destroying everything you love. Learn the mindsets you need to get your life back! You don't quit alcohol because everyone has told you it's a harrowing experience. You know you'll have shakes, vomiting, and headaches. You've heard you have to attend meetings for the rest of your life. At least, that's what author Kevin O'Hara thought, until he realized everything he'd been told about quitting was wrong. Kevin searched for two years to figure out why he succeeded where so many had failed. What he learned was that through developing a certain mindset and learning essential skills, anyone can quit boozing without any magic potions, monthly meetings, or side effects. Alcohol Freedom is a step-by-step guide that will give you the best possible start for your new alcohol-free life. How to avoid the most common mistakes and much, much more! By reading this book, you'll learn how to make solid and dependable mindset changes that will make you feel powerful and confident enough to kick this destructive habit forever. 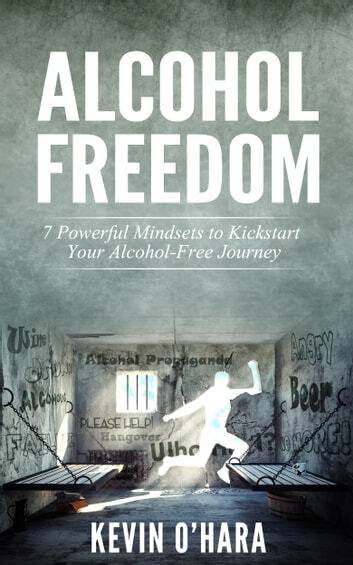 Kevin's spot-on, knowledge-packed book contains seven mindsets that have already helped thousands of people like you start their alcohol-free lives. Be the next on Kevin's list and kick this destructive habit once and for all. Buy Alcohol Freedom today to get the tools you need to quit alcohol for good! Cure Acne Using Natural Remedies: New ideas and techniques to can help you eliminate devastating acne.